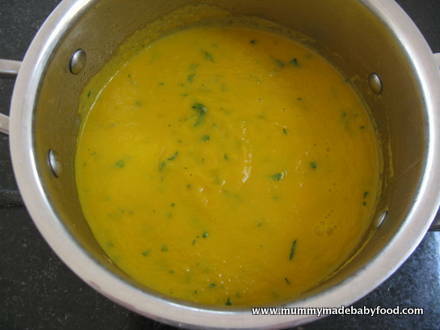 Feeding your baby soup is both a nutritious and filling option, as food cooked into soups retains more of its nutrients. So, although you may be taking in fewer calories by eating a bowl of soup versus a traditional meal, you are getting more 'bang per calorie', as it were. Soups are also a great meal option when time may be limited. 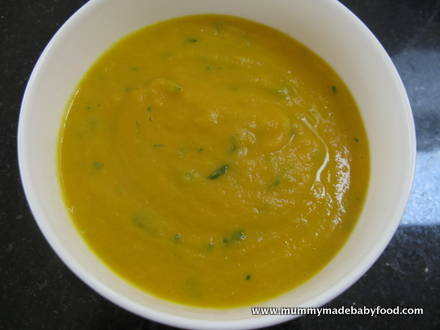 The recipe below for Carrot and Coriander Soup that is both easy and delicious - both you and your baby will love it. (NB: coriander is also know in some parts of the world as cilantro). Children generally like eating carrots because of their natural sweetness, and pairing the vegetable with coriander is a gentle way to introduce the spice. 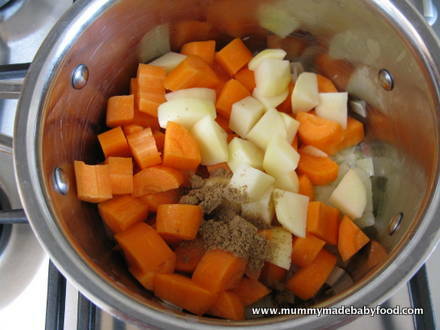 The baby soup recipe below is a fantastic way for your little one to get his beta-carotene, as carrots are particularly rich in this antioxidant nutrient. If you'd like, start with just a pinch a coriander, and increase the amount gradually, once you're confident baby has accepted the flavour. For more adventurous babies, feel free to include the full amount straight away! 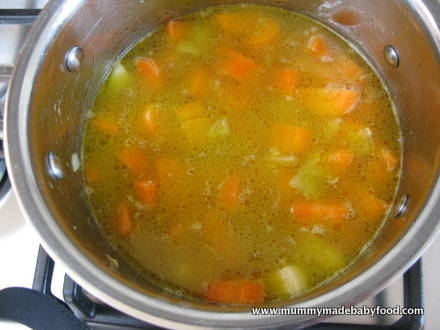 This recipe yields 1 litre of soup, or approximately 8 servings and is suitable for freezing. 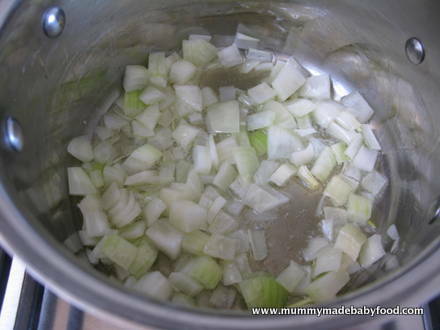 Heat the oil in a lidded saucepan, and cook the onion for a few minutes until soft. 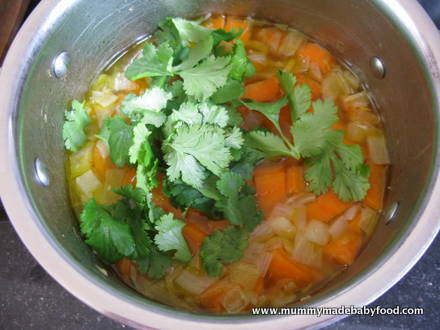 Add the potato, carrot and ground coriander, and cook for a further 2-3 minutes. Add the vegetable stock. Bring to the boil, cover, and simmer for 20 minutes. Remove from heat, and leave to cool slightly. Blend to a smooth consistency, using either a handheld stick blender or a traditional blender or food processor. Allow the soup the cool sufficiently.